Olivia first met Craig and Charlie in 2004 when they agreed to support Leap for Meningitis, her fundraising initiative for the meningitis cause. 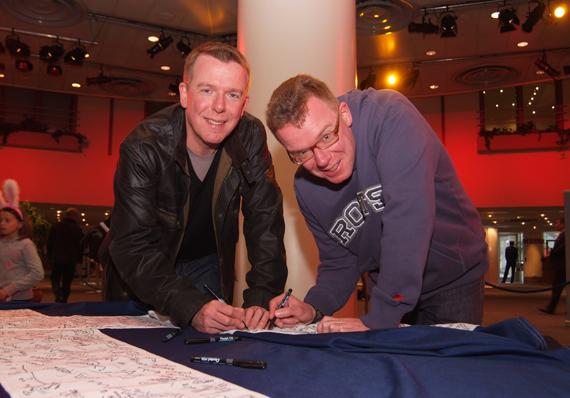 Then in 2009 they enthusiastically helped launch, and took part in every aspect of, Miles for Smiles, including The 500 miles Challenge and all the daytime action and performed a long and fabulous set at the ball for 720 people at night. Miles for Smiles raised £250,000. We couldn’t have done it without Craig and Charlie. Thank you! 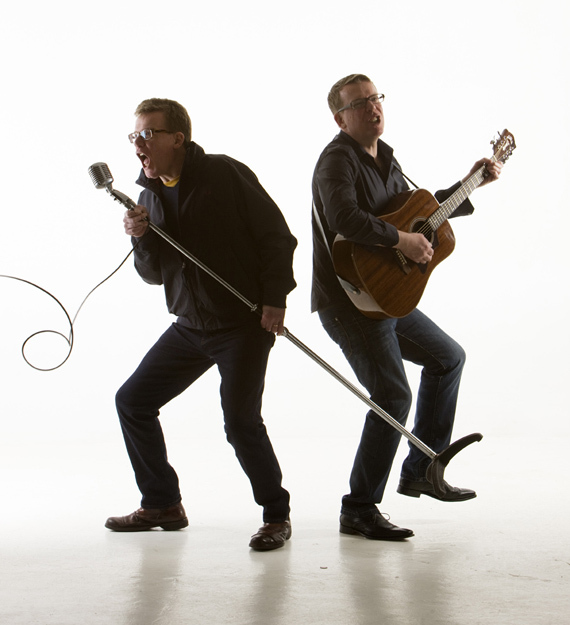 Now The Proclaimers have very kindly approved alternative lyrics for their song, “I’m Gonna Be” which are directly applicable to the work of the charity. We originally chose the name of the charity for the aspiration in the words “I would walk 500 miles”. Ian Lawson’s alternative words for I’m Gonna Be play on and develop that aspiration to walk – but they are a dialogue between our supporters who realise their good fortune to be fit and able to walk 500 miles and who want to do that to support our beneficiaries – and our beneficiaries who can now walk 500 miles (maybe not quite!) and want to show our supporters that they can! 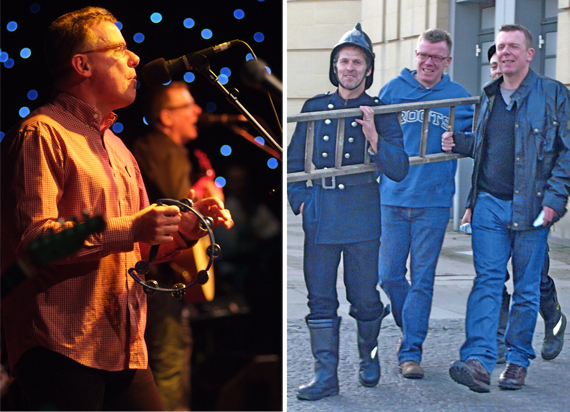 We are very grateful to Ian Lawson for his brilliant idea and for his wonderful lyrics – and to The Proclaimers for letting us set them to their music. You can enjoy the alternative words here.